The Savoy Ballroom was a legendary dance hall on Lenox Avenue between 140th and 141st Streets in Harlem, New York. It was known as “The World’s Finest Ballroom” and “Home of Happy Feet”. From 1926 to 1958 it’s twin bandstands showcased the world’s finest jazz musicians. The dances born on its mahogany dancefloor would sweep the world and live on to this day. 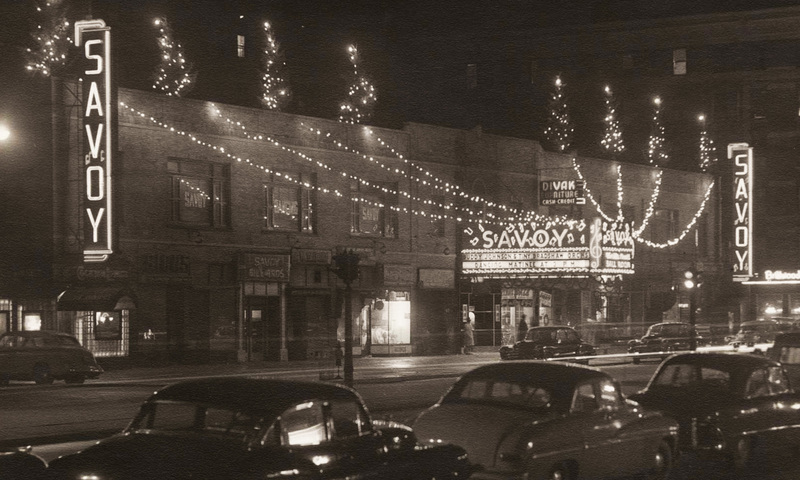 The Savoy was the heart and soul of Harlem. Welcome to The Savoy is a project to reopen the doors of the now lost Savoy Ballroom, in an immersive experience at the crossroads of immersive theatre and virtual reality. We want to transport people to the Savoy, Harlem’s most captivating nightspot and one of the first integrated ballrooms in the US, to experience the thrills of swinging big bands, breathtaking dancers and jazz age glamour. We are now undertaking meticulous historical research to model The Savoy in VR, to give new generations the opportunity to experience this magical and important place, in an unprecedented show blending reality and virtuality. Our lead historian, Sharon Davis, intends to freely share all research here and we welcome contributions from the public. Landia is an author, director and producer of immersive experiences. She founded Tiny Planets in december 2017, which rapidly garnered a strong reputation among peers for delivering bold and timely immersive experiences, offering highly interactive narratives and innovative user experiences. In 2018, she released Umami (World Premiere at the Mostra del Cinema of the Venice Biennale) and Kayak (World Premiere at Le Cube, Paris). In 2019, she will mostly dedicate herself to bringing Welcome to the Savoy to life. Amaury is an author, creative director and the Founder and CEO of Novelab, deeply involved in the visual and audio reconstruction of the Savoy and the creation of a fully interactive 3D environment including animated characters. Amaury’s work has been recognized by numerous selections and Awards in major film festivals for projects such as Notes on Blindness, Unrest, Spheres, Umami and -22.7°C. He is a regular speakers in international events. Sharon Davis is professional swing dancer and choreographer, based in London. Sharon specialises in authentic swing and jazz age dances, which she has been studying and dancing since 2001. Sharon considers it an honour to have been able to learn these dances with some of their original creators & legends, including Savoy Ballroom legends Frankie Manning, Norma Miller, Sonny Allen and Sugar Sullivan. She has made it her mission to keep the flame of these dances alive and pass on the knowledge and joy she learned from her teachers. Sharon holds numerous 1st place titles at the most prestigious international swing dance championships, and has taught and performed at dance festivals in over 30 countries. She is also the founder and the director of the European Swing Dance Championships. In 2013, she founded the Jazz Music & Dance Company (affectionately known as JazzMAD) in London to continue her life work of preserving, nurturing and promoting jazz music and its authentic dances. Founded in 2017, Tiny Planets develops and produces immersive experiences, embracing today’s emerging technologies to tell the most captivating stories. Using AR, VR and immersive theatre approaches, Tiny Planets creates innovative experiences, never compromising on the quality of the narratives and the user experience. The company rapidly garnered a strong reputation for its editorial line and the quality of its first projects released and in development, among which stand Umami (World Premiere at the Mostra del Cinema of the Venice Biennale), Kayak (World Premiere at Le Cube in Paris) and Welcome to the Savoy. Founded in 2009, Novelab combines high-end technologies with high-quality narratives to create engaging interactive and immersive experiences and installations. At the crossroads between a tech start-up and a content creator, Novelab’s projects have been selected and awarded at major international festivals such as Sundance (2016, 2018 & 2019), Tribeca Film Festival (2016, 2017 & 2018), SXSW (2014, 2016 & 2019), Sheffield Doc/Fest (2016 & 2017) and the Venice Film Festival (2017 & 2018). Founded in 2011, DVgroup is an award winning company which has dedicated its independent production activity to the creation of immersive works. The company has collaborated with authors and directors from many different backgrounds, constantly looking for new narratives, formats and expanding audiences. DV’s projects all share the characteristics of being created for an international distribution, with production media and innovative and inventive devices, putting their expertise in the service of new forms of storytelling. With their immersive VR theater pieces such as Alice, The Virtual Reality Play (2017), The Horrifically Real Virtuality (2018, now touring across USA), or PLAY! (2018), DVgroup was recognized as one of the most visionary companies in immersive entertainment. Recreating the Savoy Ballroom from the late 30s is a challenge since it was demolished in 1958, all known interior photographs of the ballroom are in black and white, and they were all taken at different times spanning many decades. Photographs were usually focused on the dancers or musicians, and rarely featured the details of the ballroom itself. Quite a challenge! Luckily our team involves world-leading experts, who will be combining immersive design and technological approaches to do justice to the legendary ballroom and its legacy. Layout documentation and reconstruction: using all the materials selected by the historic team (blueprints, floor plans, photographs…) and reverse calculating the properties of the lenses used to take the pictures (focal length, distance to subject…), we recreate the layout of the Savoy (walls, stairs, bandstand, dance floor, boxes…), the size and volumes (height, length, depth), and the position and shape of the ballroom’s interior, without texture, colours or details (it is called “gray boxing”). Camera calibration & details modeling: we then sort and accurately position the pictures on the layout created and modeling artists start adding details to the reconstruction (windows, doors, chairs, murals, lights, carpets…). Ambiance, materials, color palette and lighting: with direct feedbacks from the historic team, a team of lookdev and lighting artists then creates accurate color palettes, textures (ex roughness), materials and lighting, to recreate the look and ambiance of The Savoy Ballroom. The texturing phase is essential, as depending on the materials, the colors and the physical properties of each element, the light behaves differently when reaching their surfaces (ex a window versus a black curtain). Audio: to recreate the unique acoustic of the Savoy, we are using the existing floor plans and the 3D models to simulate the acoustic response of the ballroom using real-time acoustic simulation and we use detailed individual sound sources and their behaviour to create a faithful, 3D and reactive soundscape and immerse the audience in the unique atmosphere of the Savoy. Video: Blending reality and virtuality to transport people back in the late 30s Savoy Ballroom. In Welcome to the Savoy, spectators will move freely throughout a both virtual and tangible interactive world. The experience uses virtual reality to augment a physical world made of real infrastructures, decors and live-action actors and uses physicality to augment a VR world, to recreate the experience and thrill of a night at the Savoy Ballroom.